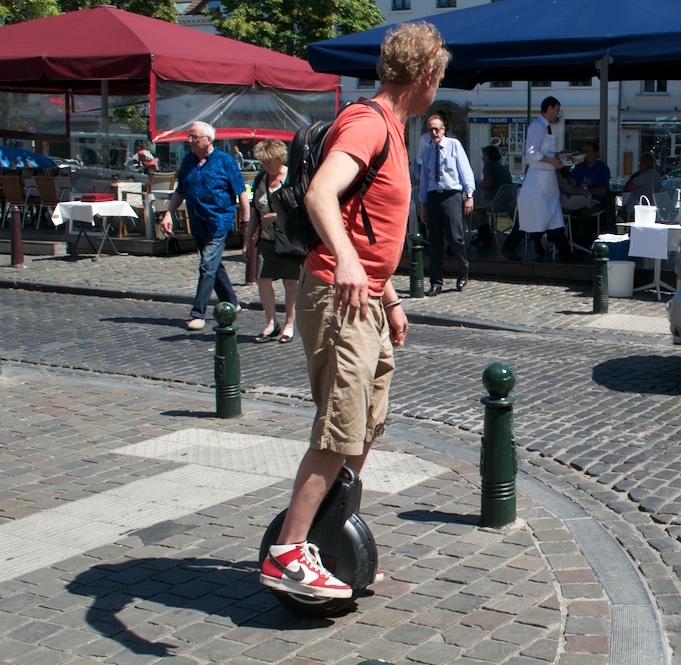 Photographer’s notes: This is an Airwheel, an electric bike, of sorts. It can get about 60km from one charge, but this rider keeps it to about 40 ams before getting a recharge. Maximum speed is 22kmph. A bit in the direction of a Segway, but far smaller. 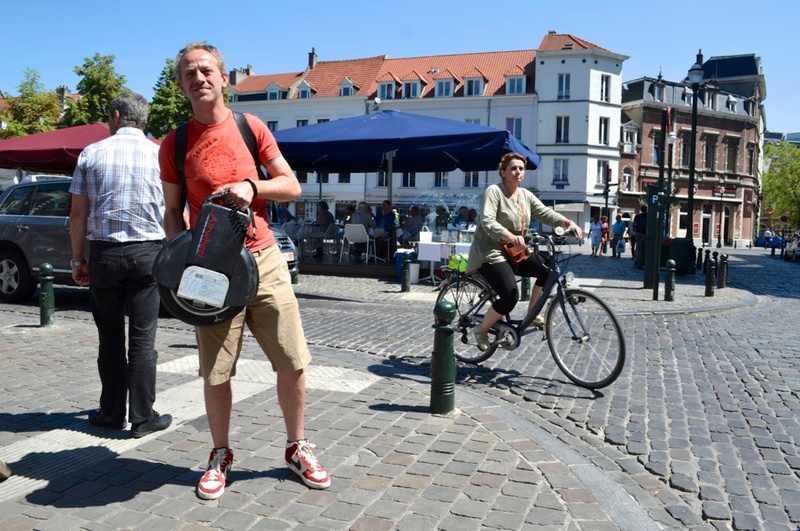 This entry was posted in city bike, electricbike, Europe and tagged 2015, Airwheels, Belgium, July, unicycle. Bookmark the permalink.